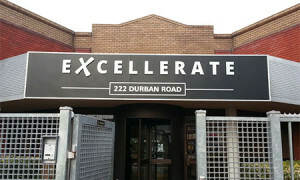 Established in 1986, Futurasigns fucusses specifically on supplying and installing large billboards and signboards for property developments in the greater Cape Town area. 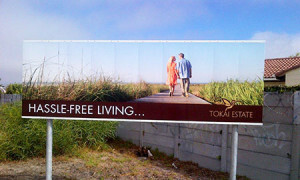 Over the years we have manufactured and installed billboards for many property developments, but we have also handled several billboard campaigns for signature golf estates and other major property ventures. Typically these are 6x3m boards, but larger or smaller versions are available to suit clients needs. Our in-house printer takes care of printing for new products as well as re-branding of old boards when refurbishing is required. These are custom made signs to suit clients particular needs. 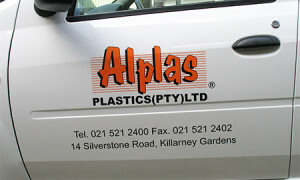 Vehicle Signage to suit your every need. Contact us today for a quote. 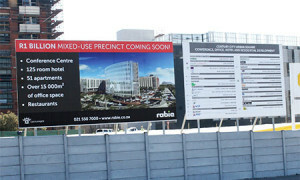 We offer a vast spectrum of billboard and print solutions to fit your needs. View our services/products and give Futurasigns a call today!